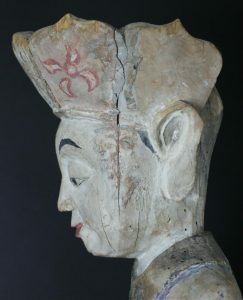 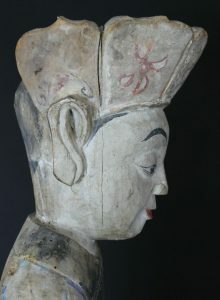 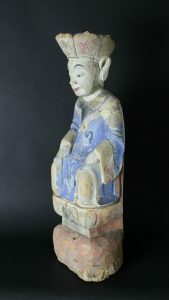 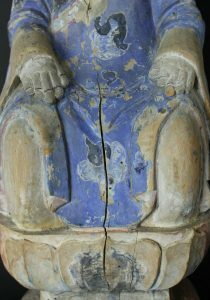 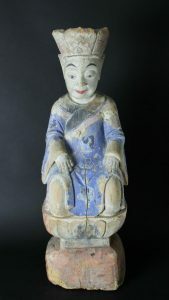 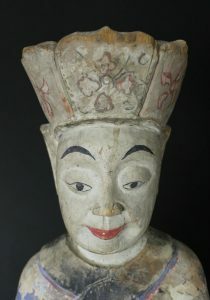 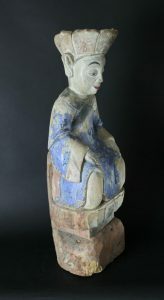 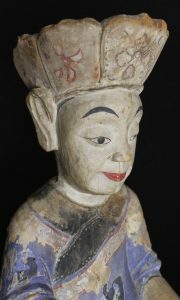 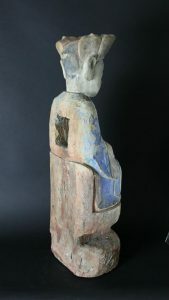 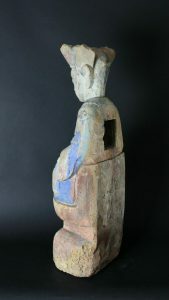 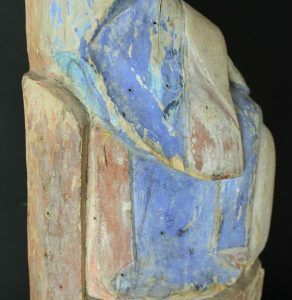 Polichrome wood Bodhisatva with a priest crown China 19th century Empty soul at the back (the square hole in his back) Sitting with his hands on his knees. 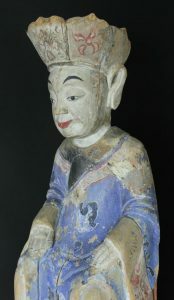 Dressed in a blue priest Kimono on a lotus. 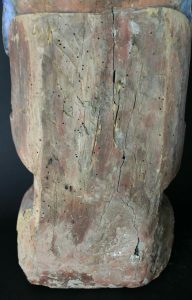 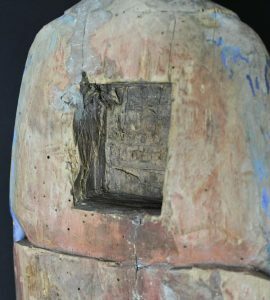 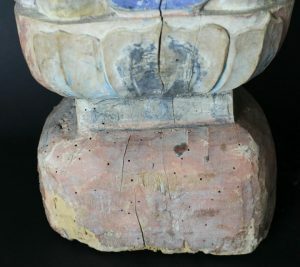 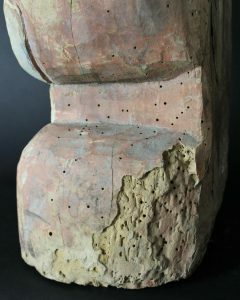 The statue had some woodworm but is fought.